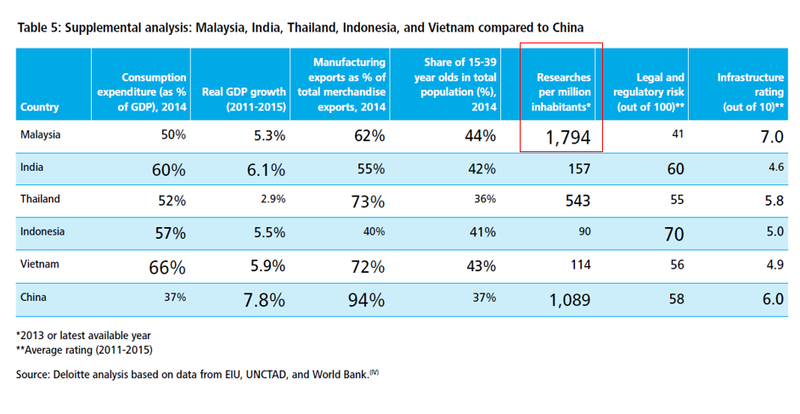 Why is Malaysia a competitive off-shore manufacturing location? 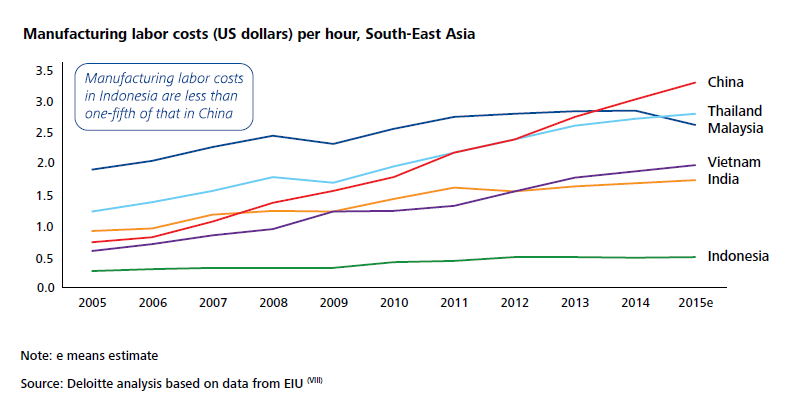 Malaysia has skilled talent required for the electronics industry. Malaysia is host to the top percentile of Integrated Device Manufacturer (IDM) in Integrated Circuit Packaging; with Intel, HP, OSRAM, National Semiconductor started their manufacturing presence in Malaysia back in the 70s. To date, Malaysia has footprint of semiconductor design centers and world-class semiconductor assembly and test centers. The strong electronics and technology ecosystem has groomed Malaysian talent and workforce to meet the ever increasing demand of a world-class off-shore technology center (Multinational companies). Malaysian companies involved in the sector which initially started as support vendors to MNCs, have develop significant capabilities and skills in manufacturing a wide variety of electronic products. 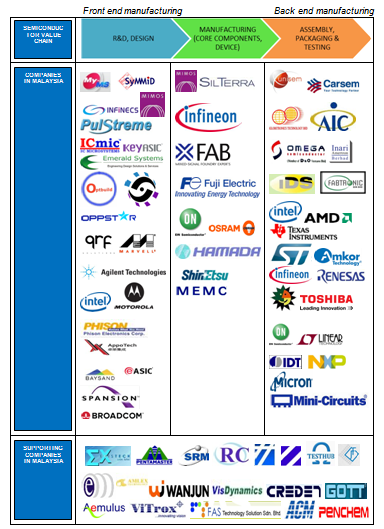 Below is a list of Multinational Companies and local companies in the Semiconductor, Electronics and Technology industry present in Malaysia. 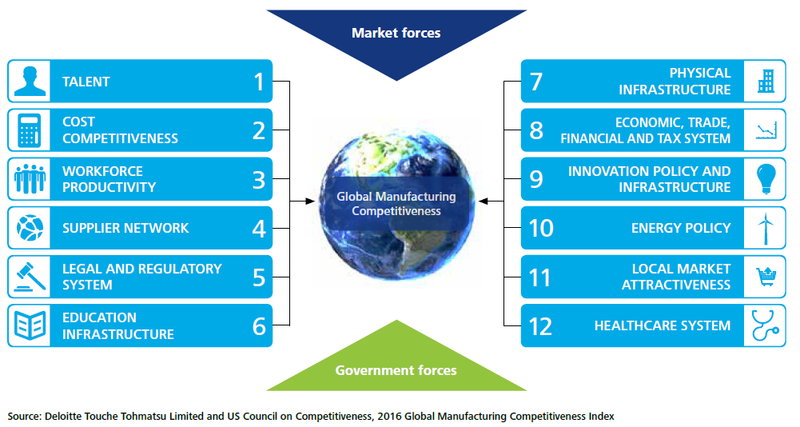 The most competitive manufacturing nations have a diverse and high-quality supplier base with strong industrial clusters focused on R&D. Malaysia has 5 of the six indicated Integrated Device Manufacturers (IDM) in IC Assembly Test Design Centers as outlined in this research paper that was submitted for the Semiconductor Industry Association. A key factor to consider for long-term investment or setting up an offshore entity, beyond the contract manufacturing phase is to trace country with a strong ecosystem for established IDMs. 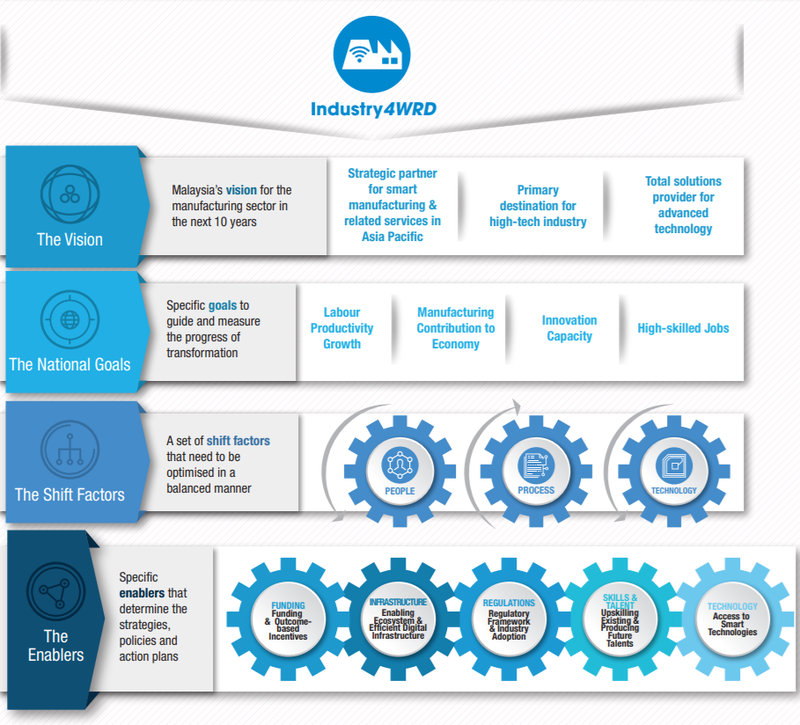 Starting contract manufacturing in a strong IDM country paves the way to supplier network relationship and easier manufacturing transition when OEM entity is established in the country of choice. Malaysian contract manufacturers have proven capabilities in producing high quality E&E products and meeting world-class quality standards. Signatory of the Agreement on Trade-Related Aspects of IP Rights (TRIPS) under the World Trade Organization. A strong education system will set the stage for a competitive workforce. Malaysia ranks top on the list “researchers per million inhabitants” amongst the rise of the MITI-V (Mighty 5): in searching for the next China. Malaysia is placed 32 out of 160 countries making it among the top 20% of countries in the world with excellent trade logistics facilities, according to World Bank’s Logistics Performance Index (LPI) 2016. Land freight: Road – Malaysia is connected by the North-South Expressway (NSE) from Bukit Kayu Hitam in Kedah near the Malaysia-Thai border to Johor Bahru then to Singapore. Sea freight: About 90% of the total freight in Malaysia is transported by sea. Port Klang, 24 miles from the heart of Kuala Lumpur is the busiest port in Malaysia. Other major Federal ports include Johor Port, Kuantan Port, Penang Port, Bintulu Port and Kemamam Port. All these ports have close proximity to the major Singaporean ports. Air freight: Kuala Lumpur International Airport (KLIA), 39miles west of Kuala Lumpur city center has a capacity of almost 50million passengers in 2015, and more than 1.2Million tonnes of cargo. There are plans to expand the passenger/ cargo capacity of KLIA by 2020 to 60million passengers and 3 million tonnes of cargo. 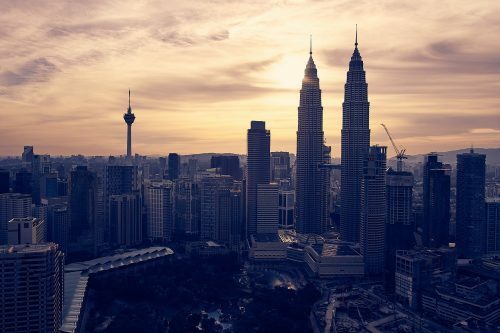 Malaysia is ranked #1 as the best country to invest (BAV Consulting and the Wharton School of the University of Pennsylvania. 2017). Malaysia has 14 FTA (Free Trade Agreement): Japan, Turkey, India, New Zealand, Chile, Australia and Pakistan. China, Korea, Japan, Australia, New Zealand and India and 10 Southeast Asia nations. A broad range of incentives are available for companies investing in new projects or expand existing projects. This includes pioneer status, special investment capital allowances, a variety of tax deductions, accelerated capital allowances, double deductions, reinvestment allowances (i.e. a 60% sponsored allowance on capital investments made in connection with qualifying project), access to government – sponsored industrial estates and concessional grants and loans from government agencies. Incentives are provided for high technology knowledge companies in the Multimedia Super Corridor Malaysia, companies in the Economic Development Corridors and small and medium sized enterprises. For more information about foreign investment and tax incentives, please visit http://www.mida.gov.my/home/ or write Big Wau to connect you to a Trade officer. Malaysia maintains a liberal system of exchange controls that applies uniformly to transactions with its trading partners. The central bank handles for an exchange controls and regulations that aim to assist the banks in monitoring settlement payments and receipts of international transactions. The repatriation of capital, profits and income (which includes dividends, interest, royalties, rents and commissions) is freely permitted. Foreign exchange administration rules have been relaxed or eliminated, except for trade within certain countries. Generally, restrictions apply only to a resident with domestic ringgit borrowing. “In Malaysia, there is a clarion call for the manufacturing sector to shift to higher value-added process, digitisation, advanced manufacturing technologies and efficient resource utilisation to drive competitiveness going forward. A strong manufacturing sector would pave the way to enhanced productivity, job creation, innovation capacity, high-skilled talent pool and ultimately economic prosperity and societal well-being. This would position Malaysia as a primary destination for smart manufacturing globally and attract more high-tech investments. I believe that this can all be achieved through the Industry4WRD: National Policy on Industry 4.0, which would enable the manufacturing sector to move into Industry 4.0 and along the way contribute to fulfilling Malaysia’s commitment to the United Nation’s Sustainable Development Goals (SDGs).” By YAB Tun Dr Mahathir Bin Mohamad, Prime Minister of Malaysia when addressing the nation with his national policy framework on the fourth Industrial Revolution (4IR) in October 2018, few months after his election the second time, now as the 7th Prime Minister of Malaysia. Industry4WRD will be formulated to promote innovation, creativity and competitiveness in embracing the intensification of the digital revolution. In the mid-term review on the 11th Malaysia Plan, the government said with the launch of the National Industry 4.0 Policy, this will intensify the adoption of Industry 4.0 related technologies.